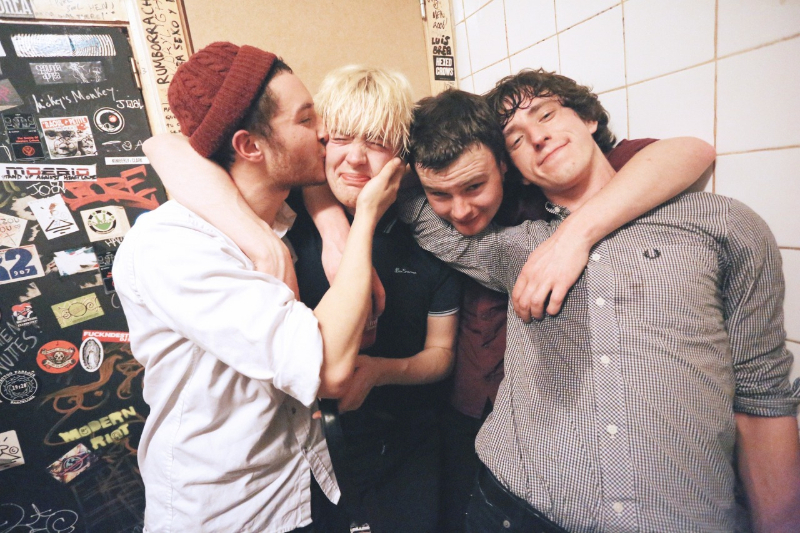 Thee MVPs have had their latest single produced by Billy Childish’s producer Jim Riley, two cuts of garage-pop which has been heavy on the 90s punk sauce of the boy’s teenage tastes in music. From befriending Twin Peaks to the point of being able to host them in their rehearsal room for the drunkest teenagers in London, to being invited by bands like Hinds, Dune Rats and Useless Eaters to open for them at sold out shows, these four boys have been making their own waves in the first part of this year, so be the first to be surfing on them. The A-side ‘Edgar’ a song about a friend of the band from LA who isn’t able to hang with them much, has a fly on the wall video release of footage from the bands trip in Barcelona in December where they played a sold out show to 200 something people they had never met before. It perfectly shows off the band at their best, playing with a gusto that can’t be matched by most groups in the UK right now. The B-side ‘tack’ (the swedish word for thank you) is an updated cut of the third track from the pitchfork-lauded first EP on PNKSLM, the same swingey-pop, similar to the groups more obvious influences like Harlem, has been given a once over and glazed with far more harmonies than is probably needed, but you won’t mind. Perhaps what you’ll notice more than anything is how the less lo-fi production has made these numbers’ pop out their eye sockets much more than the earlier material.